01 March 2013, at 12:00a.m. AGEING is a complex process which sets in insidiously and causes irreversible change affecting all organs of the body. 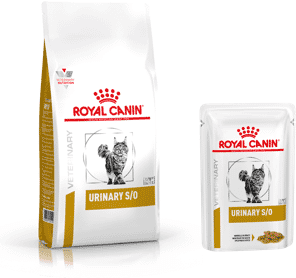 Essentially it is an accumulation of wear and tear on the body that occurs progressively with the passage of time but there is much we can do to help maintain vitality in older cats and dogs using the right nutrition. A cat or dog is considered to be “mature” when it reaches half its average life expectancy and so this group represents a large proportion of the population. Cats are considered to be “senior” from the age of seven and in the healthy ageing cat there are several areas in which nutritional changes can help. The age at which a dog is considered to be “mature” varies depending on the breed size – eight years for small dogs (less than 10kg), seven years for medium dogs (10- 25kg) and five years for large dogs (over 25kg). At around two-thirds of its life-expectancy, a dog becomes classified as “senior”. As cats and dogs age, their kidney function is likely to become less efficient than it was during their prime adult years. As a result, reducing the phosphorus level of the diet is recommended for mature and senior diets. A loss of water-soluble vitamins (due to a reduced ability of the kidney to concentrate the urine) can also be seen in ageing animals and so these are often incorporated into these diets too. Tartar deposits on the teeth and receding and inflamed gums are common problems in mature pets. This can also affect appetite and, eventually, lead to weight loss. Kibble diets, which limit plaque, coupled with the inclusion of sodium tripolyphosphate can be beneficial. These calcium binders limit availability of salivary calcium, delaying dental plaque calcification. The kibbles of most senior diets are formulated to be softer to offer easier prehension and chewing of the food. Joint issues are much more likely to occur in geriatric cats and dogs. The addition of nutrients such as glucosamine, chondroitin and omega-3 fatty acids (especially EPA and DHA) to the diet can help to support mobility. As pets age, their skin can become drier because the oil-producing glands within the skin often decline in numbers and the coat often becomes thinner as the hair follicles shrink back. Ensuring the diet contains optimal levels of B vitamins, zinc and essential fatty acids will aid the skin and coat. Muscle loss due to ageing (sarcopaenia) is also a common cause of weakness in older cats and dogs and so it is important that their diet includes high quality proteins. A higher percentage of branched chain amino acids (such as leucine) helps to maintain muscle protein mass. Leucine directly stimulates protein synthesis in skeletal muscle cells and generates energy in muscles by increasing ATP content. As pets mature, metabolism can start to slow and their energy requirements decrease, resulting in an increased risk of obesity in this age group. For example, the maintenance energy requirements for an elderly dog are considered to be 20% lower than those of a younger adult dog, due to a decline in the “lean mass: fat mass” ratio. However, amongst senior cats and dogs, the senses of smell and taste can begin to deteriorate, resulting in a decreased appetite. It is therefore important to offer a highly palatable food to senior pets and one that is relatively higher in energy, to stimulate them to eat the food but also because these pets often have a decreased ability to digest the food they are given, so are more likely to start to lose weight. 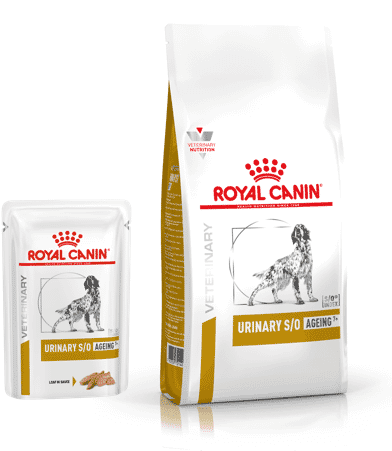 A combination of highly digestible proteins, sugar beet pulp and fish oil can assist here, in order to ensure maximum digestive tolerance. Phosphatidylserine and L-tryptophan are useful ingredients in supporting brain health in ageing pets. Phosphatidylserine is a natural brain structural lipid found in the neuronal membrane. It moderates the fluidity of the cell membrane, essential to the brain cells’ ability to send and receive neurotransmitters. L-tryptophan is an amino acid, metabolic precursor of serotonin that plays an essential role in the regulation of anxiety, sleep and appetite. In summary, ageing is an inevitable part of life and such changes should be seen as a natural evolution rather than a disease. It is, however, important to ensure that the more mature pet is recommended a diet which is appropriate not only for its size, lifestyle or breed but also for its age.